How soon can you buy a home after a foreclosure or bankruptcy? What are the waiting periods, Can I buy a home after a short sale? Answers to these questions are on this page. There are standard waiting periods to purchase a home after a foreclosure. Each major home loan program has their own waiting period after a foreclosure, short sale or bankruptcy. Usually on a FHA loan there is a three year waiting period after a foreclosure or short sale. This may be reduced to one year with the new FHA back to work program. Also, FHA will allow you to purchase a new home after two years after the discharge of a Chapter 7 Bankruptcy. On a Veterans Administration (VA) home loan there is a waiting period of three years after a foreclosure and two years after a short sale. This loan program is only available to qualified active duty Military, National Guard and veterans of the armed services. The VA will allow you to purchase a new home after two years after the discharge of a Chapter 7 Bankruptcy. A conventional Fannie Mae home loan is different. After a foreclosure, the waiting period is seven years regardless of the amount of down payment. After a short sale, the waiting period is two years with a 20% down payment and four years with a down payment of 10%. Seven years after a short sale you would only need a 5% down payment. After the discharge of a Chapter 7 Bankruptcy, you will need to wait 4 years from discharge or dismissal date. Chapter 13 bankruptcy is 2 years from discharge date to obtain a new home loan and 4 years from the dismissal date. If you have a Freddie Mac loan the waiting periods is 7 years from completion date or 4 years with a 10% down payment. Short sale, Deed in Lieu and Chapter 7 bankruptcy waiting period is 4 years. Chapter 13 Bankruptcy is 2 years from discharge date. A USDA loan requires 3 years for a foreclosure, Short Sale, Deed in Lieu and Chapter 7 bankruptcy. These are the standard waiting periods or timelines to purchase a home after a foreclosure, short sale or bankruptcy. 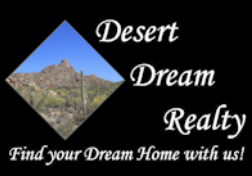 Please contact Desert Dream Realty at 480-252-8300 for more information.